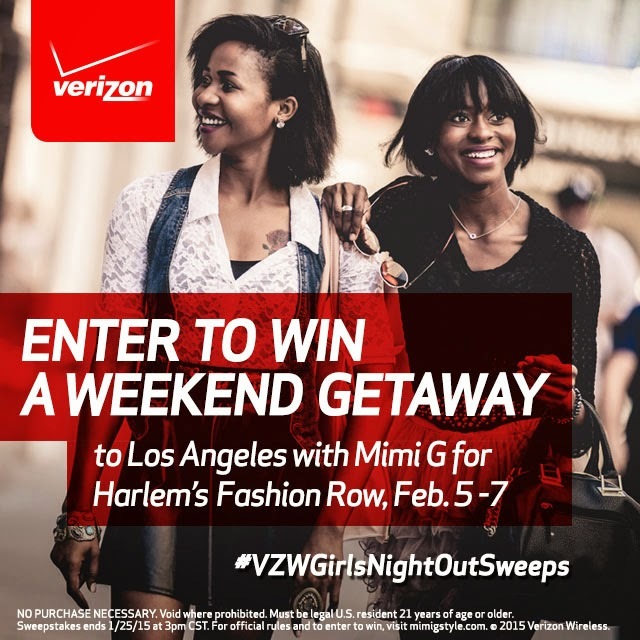 Together with Verizon, Fashion Blogger, Mimi G presents a sweepstakes opportunity on her site for a lucky someone to win an all-expense paid trip out to Los Angeles, CA to take in Harlem's Fashion Row from February 5-7, 2015; as well as win a few additional goodies. Eligible participants must be at least 21 years old and reside in one of the following states: Illinois, Indiana, Michigan, Minnesota, Nebraska, Ohio or Wisconsin. Click HERE for the official post and rules on Mimi G's site. Sweepstakes closes on January 25th! !